Dampkring Classics Everyone knows the Cheese and what a smoke it is, Big Buddha deservedly winning the best Indica prize at the 2006 Cannabis Cup. 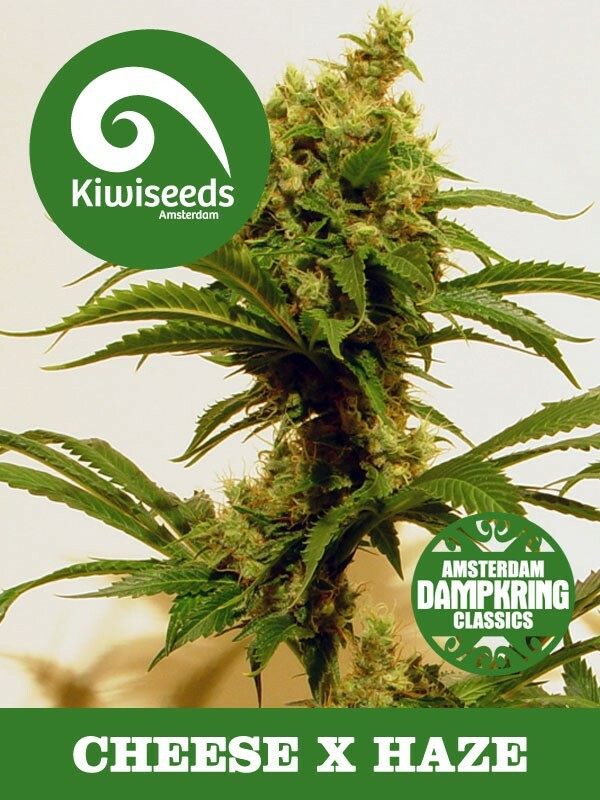 That same Cup was Kiwiseeds best year to date with a 1st place in the Sativa Cup. Now Dampkring Classics introduce the perfect cross of the 2 plants. The fruity taste and quick flowering of the mainly Skunk 1 in the Cheese crossed with the perfect NL 5 Haze male, the same male used in the creation of Mako Haze. Three main phenotypes are present in a pack of these special seeds. Choose your favorite one or three and enjoy the fruits of our labours. Now available, the best of these genetics in Regular seeds, what better way to make the ideal strain than breeding the best of the best into your favourite variety? That is now possible thanks to our strains being available in Regular seeds too!